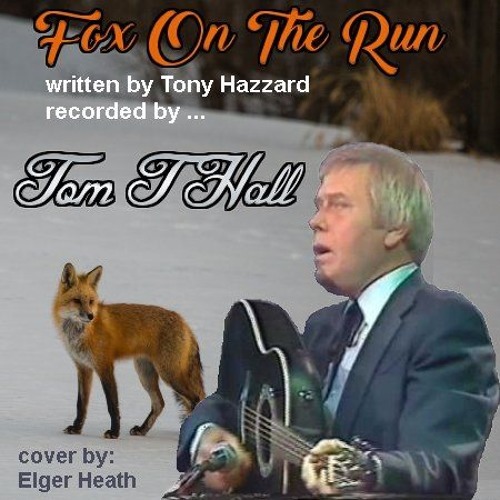 Released in 1976, by Tom T.Hall, 'Fox On The Run' had been recorded by other artists but it was this release that caught my ear and heart. This is classic pillar of Country Music and if you haven't heard it you are one of a very few. Tony Hazzard created a masterpiece of lyrics when he crafted this story and although this doesn't seem like one of Tom T. Hall's style of tunes, he was just the right artist to bring out the beauty of this song. Of late my hands have deteriorated with nerve issues so that my fourth and fifth fingers of my left hand are now numb. It's hard to play a guitar when you can't feel anything but numbness in half of the hand that selects the chords that you will be playing. As of yet I can still force myself to play music, better than I'd have thought, but, clearly if you listen to my latest recordings you'll notice a deterioration of my playing skills. Still as I considered making another recording I wanted to make a track of this number because it has always been one of my very favorites. I wanted to include it in my collection of my interpretations of country music before I could no longer play at all. This is my interpretation of this great standard. It goes off in in its own direction. I hope you will find it as interesting to listen to as I did recording it. Be sure to check the original Tom T. Hall recording on YouTube.